Summer is still in full swing and don’t you love the ease of grilling foods? 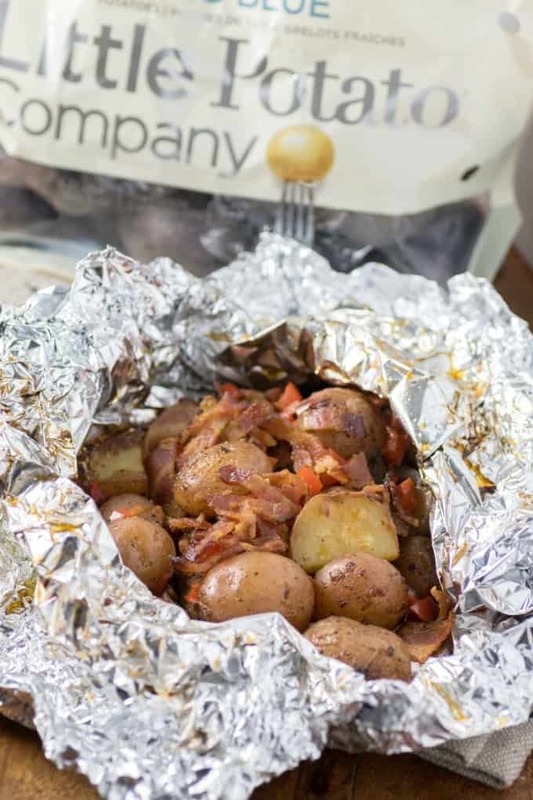 Foil packs are a wonderful way to enjoy the BBQ and with very little clean up at all. They are perfect for camping or even a picnic when you have a BBQ. They can be made ahead of time and waiting for you when you want them. 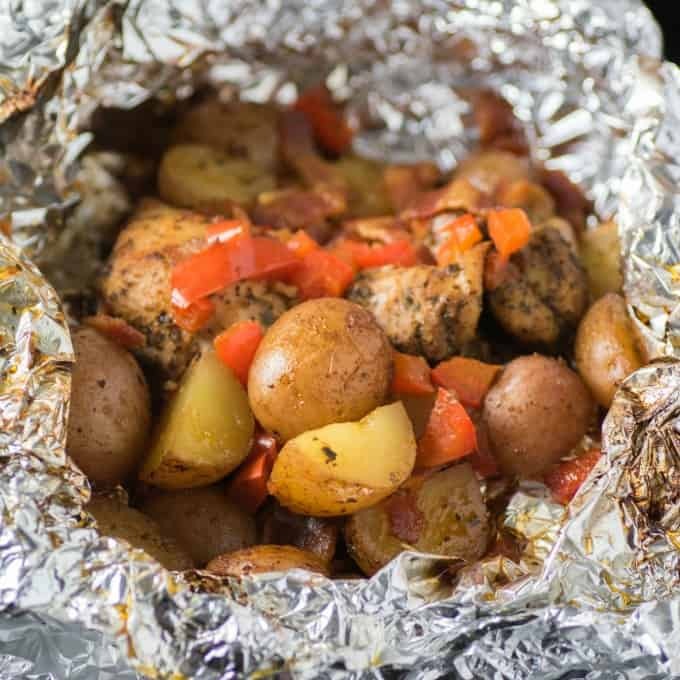 Using Little Potato Company’s Creamer potatoes makes these Grilled Spiced Chicken Potato Foil Packs even easier. They come pre-washed so all that is needed is to slice the larger ones in half and you are ready to go. For this recipe we used their Blushing Belles! With lots of spices the chicken and potatoes are delicious. 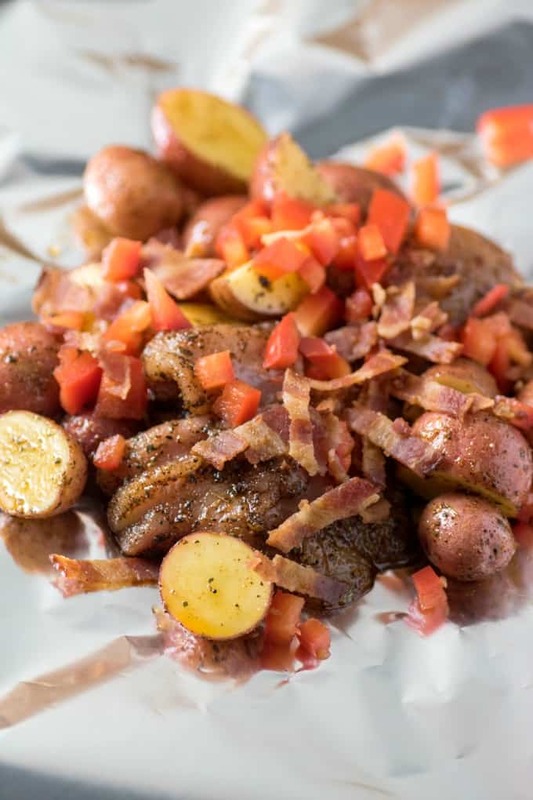 I also added in red pepper for a splash of color and flavor and bacon for that over the top taste making these foil packs irresistibly good. Just pile your ingredients after a quick toss in oil and spices and then top with red peppers and bacon. It is this simple but the results are nothing short of magnificent! I love using ancho chili powder as a spice as it is not hot but adds great flavor and color! Once done you can eat them right out of the foil packs so this saves you dishes too. A plate underneath is a nice support too though but it won’t get real dirty. A paper plate would work well also. Look at those luscious little potatoes. They cook up perfectly in these packs on the BBQ. This recipe and many others would be fantastic with any of the Little Potato Company’s varietals. Like Baby Boomers, Blushing Belles, Little Charmers, Fingerlings, Something Blue, Dynamic Duo, Terrific Trio or Chilean Splash. Each one having their own wonderful plate appeal. Also, giving you a blast of 19% potassium per serving! 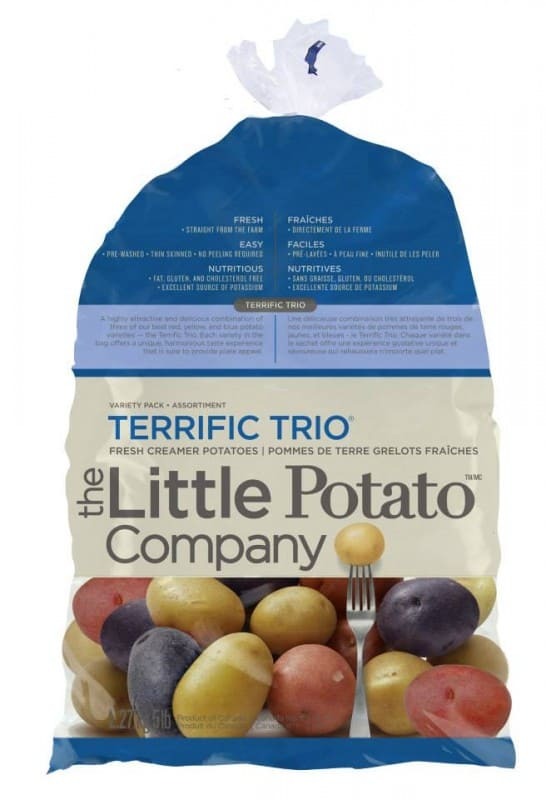 These little potatoes come in large 5 lb bags but also 3 lb., 1.5 lb. bags and BBQ, oven and microwave trays!! Giving you all the convenience you need! Just grab yourself a fork and dig right in. Each mouthful is fantastic. This has been one of my favorite summer meals this year!! Tons of flavor and so easy to pull together. Toss the seasonings together in a small bowl. In a large bowl add the chicken and the potatoes. Pour in the oil and seasonings and toss well to coat. 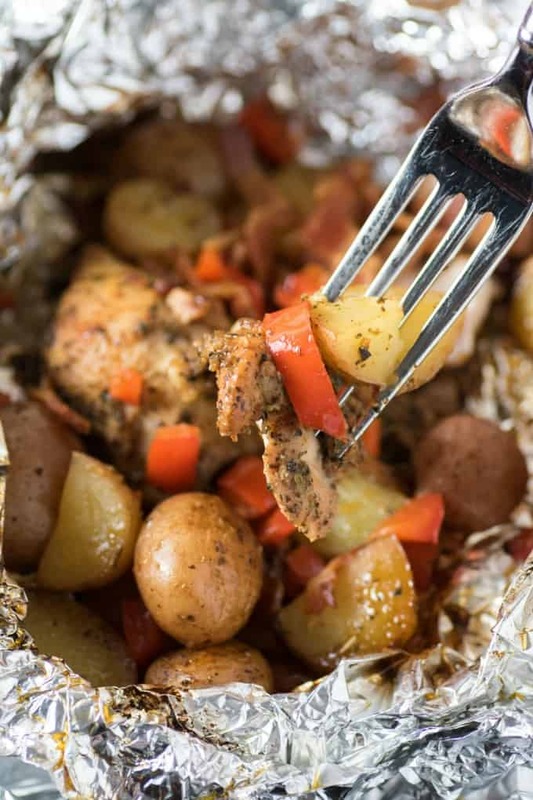 Prepare four 12x12" sheets of foil and divide the chicken and potatoes evenly with two thighs per pack. Fold the foil down to seal tightly and cook on preheated medium high grill for 10 min. seam side down. Turn and cook another 15-20 min. or until chicken is cooked through and potatoes are tender. Serve immediately. Mmmmmm. That looks amazing. I love that it’s easy clean up too. The packets will make sure that all of those good flavors get into the potatoes. What a smart idea. How yummy! I love this recipe because it’s so hearty and so easy. Foil pack recipes make life so much easier! That looks delicious! I love to use baby and fingerling potatoes as a side when I cook. You don’t have to peel or chop them, and they’re so good. Those potatoes look amazing! It looks like this recipe is absolutely PACKED with flavor. I’ve gotta try it next time we grill! I love these fancy little potatoes! This meal is exactly what I would love to make for my family for an easy meal. Foil packs are the best. They make dinnertime so much easier! I’ll have to try this one! These are great for the BBQ! Foil packets are seriously the BEST. They totally take the fuss out of dinner time. I love the fact that there are less dishes too. I will have to give this a try! Mm… PERFECT for summer!!! Gonna have to try this at the next BBQ. 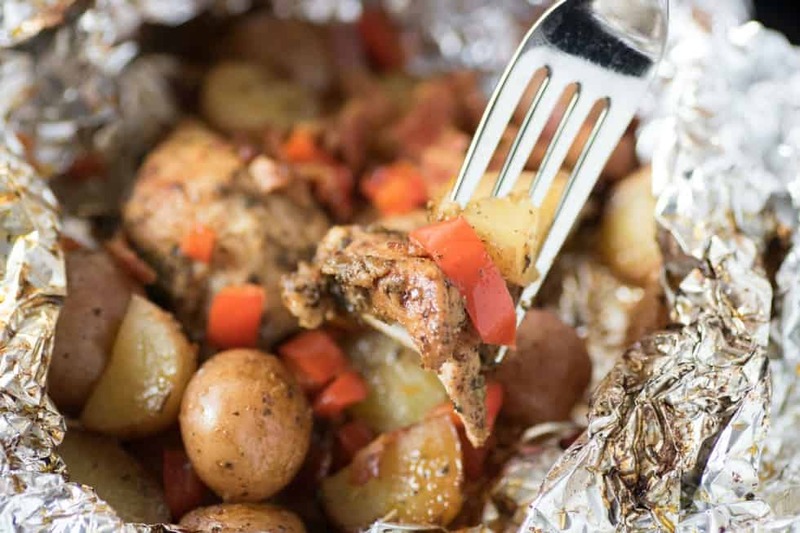 Foil packs are a great way to cook. 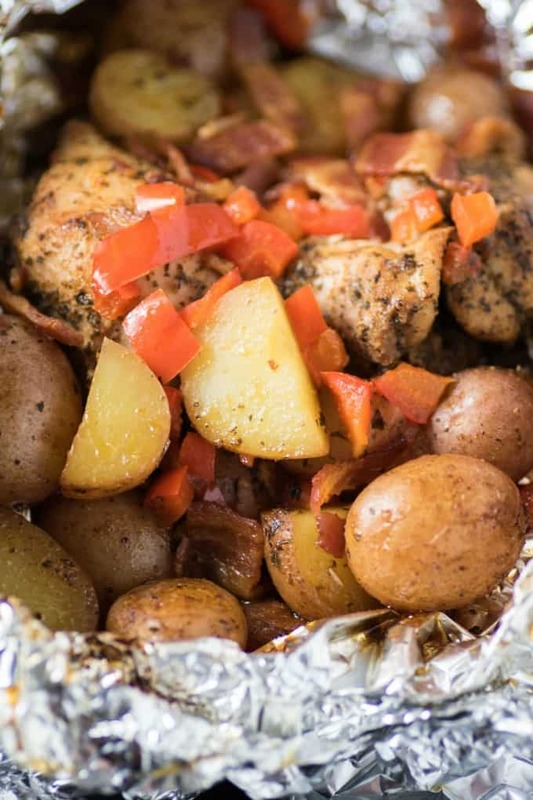 I am looking forward to try this Grilled Spiced Chicken Potato Foil Packs recipe. I am sure it will be a big hit. I love those smaller potatoes because they are so easy to cook and don’t take as long! I will have to try your recipe. Yum! We make something similar when we go camping. I’m going to have to try your recipe, it sounds yummy! Oh my goodness – this looks too good. 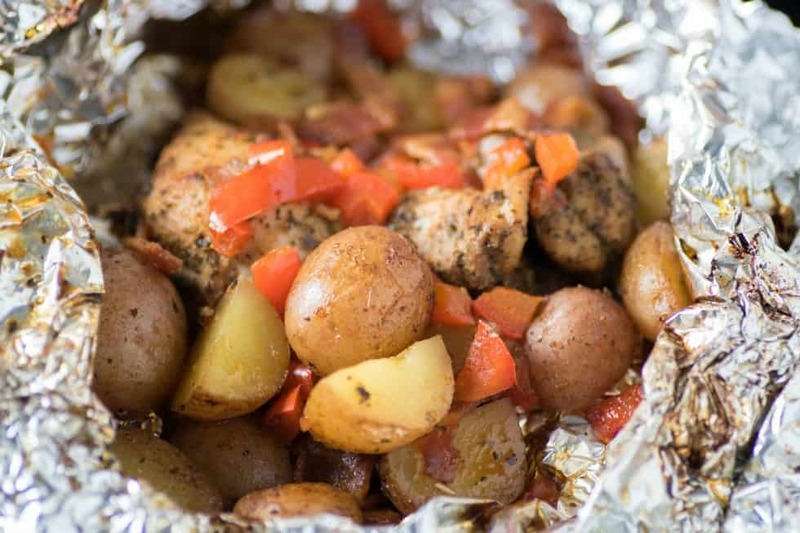 Foil packets are perfect for end of summer and fall.